At NVIDIA GTC 2019 we saw a new and unique platform from AIC. 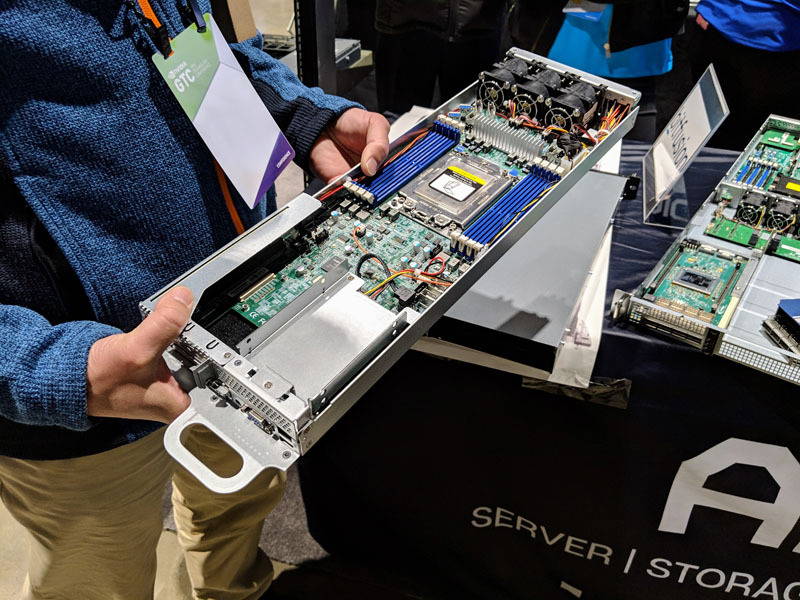 The AIC HP101-AG1U 1U dual-node AMD EPYC compute server. The design of the AIC HP101-AG1U is designed to maximize cost efficiency for the platform. The base of the AIC HP101-AG1U is the same motherboard platform we saw with the AIC FB127-AG NF1 AMD EPYC Storage Solution. Instead of the sleds being wired for multiple NVMe SSDs, the nodes are designed for an OCP NIC, one or two PCIe devices, and SATA boot drive(s). With two sleds in 1U, the AIC HP101-AG1U platform maximizes node density in a rack. Unlike some of the 2U4N offerings we have seen, the AIC solution is specifically designed to take advantage of the low-cost AMD EPYC “P” series CPUs for the hosting market. The sleds share the 1U chassis along with a pair of power supplies halving the chassis and power supply costs versus a 1U redundant PSU single node deployment. Each node has three sets of counter-rotating fans on the sleds which means that the nodes can be serviced completely independently and have cooling for 32 core CPUs. These nodes seem perfect for a dedicated hosting provider that wants to provide low-cost high-density single socket compute nodes. This was an extremely interesting concept. 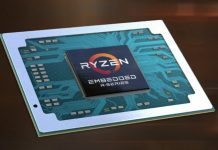 AIC is essentially building a platform to exploit the economies of the “P” series AMD EPYC parts. Offering a single socket compute solution that shares chassis and power supplies help amplify cost savings for cost-sensitive areas of the market. 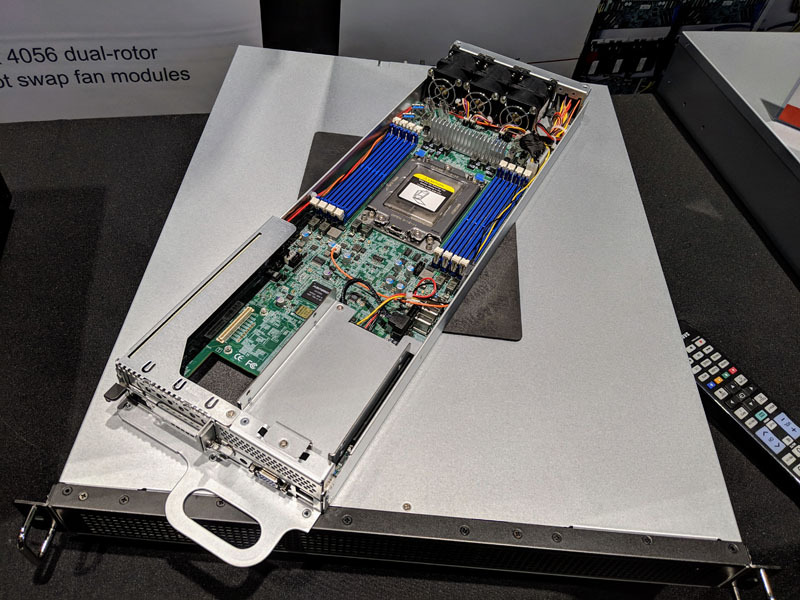 While this platform does not take advantage of the full 16x DDR4 DIMM nor the full PCIe lane capability of the single socket AMD EPYC platform, it will be attractive to those who simply want an inexpensive set of cores and memory. For hosting providers, being able to swap nodes quickly while having hot-swap power is a great serviceability feature.